Yeti Team has introduced an overpriced premium version of Yeti and free version is limited to turning a Sonoff Device ON / OFF. However, Sonoff Sensors such as Sonoff TH is now supported by Yeti. Other draw backs of cloud control system are slow response, exposed to internet, failure in registering device into app, connectivity issues, inaccessible if cloud server experiences any issue etc. Here Yeti comes as an independent solution to control your Sonoff devices locally without internet. Just upgrade your Sonoff device firmware to Sonoff Tasmota Opensource Firmware and Sonoff becomes compatible with Yeti out of the box. You will feel the difference once upgrade to Yeti Tasmota: Control Sonoff without Internet Instantly. 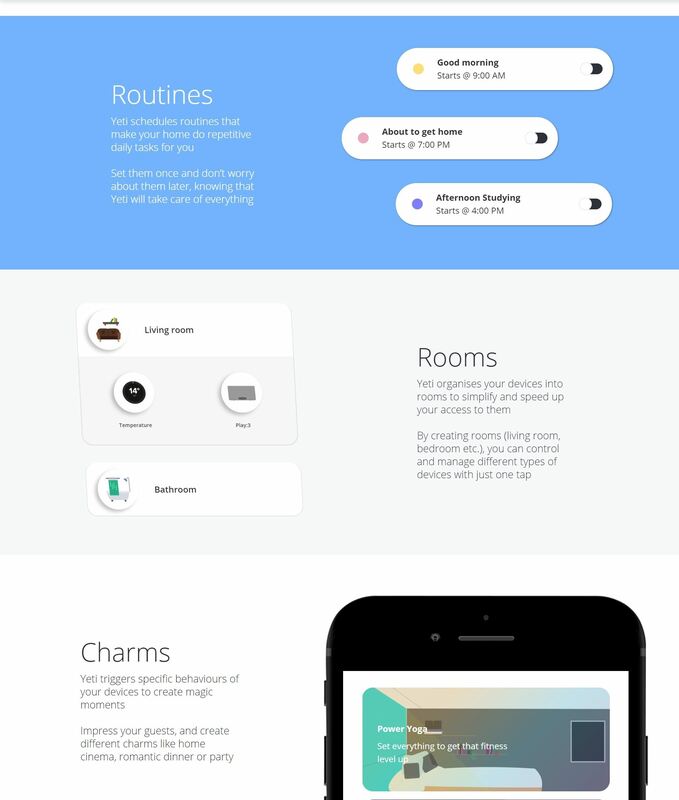 Yeti is a standalone application to be installed in your smart phone to control numerous devices including Sonoff Smart Switches locally without internet. Visit Yeti official website to check supported devices list. Now real fun begins. Follow the links below specific for each of Sonoff Smart Switch to install Sonoff Tasmota firmware. There is no need to configure MQTT as discussed under guide on the links below because Yeti does not use MQTT. MQTT is enabled by default and as it is no more required, it is recommended to disable it by visiting Configuration > Configure Other and uncheck MQTT enable check box. Hit Save and Sonoff will reboot to save the changes in configuration. Note: Currently Yeti supports only toggling (ON & OFF) the relay for Sonoff Pow. Sensor data will not be available under Yeti app and will be covered in future Yeti releases. 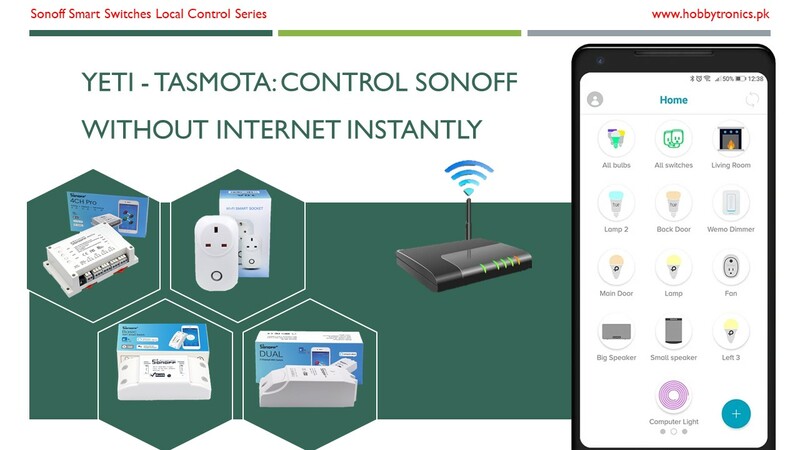 Have a look on it’s alternative approach Domoticz Tasmota: Control Sonoff without Internet for now. Let’s install Yeti app in our Smart Phone from the links provided under Download Yeti App section and connect our Sonoff devices to it by following our video tutorial shown below. At the end, We’ll be able to control our Sonoff devices using Yeti iOS and Android apps. This entry was posted in ESP8266, Raspberry Pi, Smart Home, Sonoff and tagged control, esp8266, ESP8285, Firmware, LAN, local, mod, modification, Samba, Sonoff, Switch, without-Internet. What has happened to Yeti? The website and Playstore links are both down. Project has been abandoned by the developer. They support Google Home now but in their premium plan.